Livones.net - The Livonian portal livones.net has been completely updated. 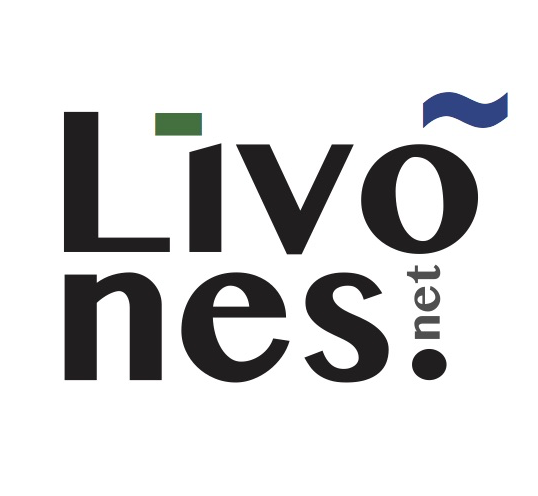 On January 19, 2018, the Livonian culture, language, and history web portal livones.net comes to its readers in a completely updated and modernized form. This is a tribute by the portal’s authors – the Livonian Culture Centre (Līvõ Kultūr sidām) – to Poulīn Kļaviņa in honor of the 100th anniversary of her birth. Kļaviņa was the most active Livonian cultural activist and language speaker in the second half of the twentieth century. This site, operating since 2006, is the only web portal in Latvia devoted entirely to the Livonians. It continues to provide a broad range of information on the Livonians, their culture, language, and history as well as the Livonian cultural heritage of Latvia. It can be read in Livonian, but also in Latvian and English. The updated livones.net portal not only has a new appearance, but also has been supplemented with several new sections. The most significant of these is lingua.livones.net, which contains various Livonian language resources available to readers interested in learning about Livonian as well as to researchers worldwide. This section contains studies about the Livonian language; the online version of the Livonian-Estonian-Latvian dictionary, which is being continuously updated with word forms and data from the Livonian language corpus; a register of Livonian place names in Latvia; a list of Livonian borrowings found in Latvian; and other resources for learning about and studying Livonian. Already this year, chapters will be added to this section as they become available from the University of Tartu’s new Livonian reference grammar. The other new section is the “Library”, which is a storehouse of articles, links, videos, photo galleries, and documentary films on various topics relating to the Livonians. The visual and technical upgrade of this portal was supported by the Republic of Latvia’s Ministry of Culture, while the development of the Livonian language resources was supported by the Latvian Language Agency (Latviešu valodas aģentūra). Also, a special thanks to Latvian Parliament (Saeima) member Veiko Spolītis. The Livonians are a Finnic people indigenous to Latvia and have had great significance in the development of the Latvian people. The modern Latvian language formed as a result of contact between the Livonians and several ancient Baltic nations – the Latgalians, Semigallians, and Curonians – and its unique characteristics are specifically due to this contact. Likewise, the influence of Livonian can be felt throughout Latvian traditional and contemporary culture, from folklore to culinary traditions. For this reason, the Livonians have been included in the Latvian cultural canon as well as other documents. The Livonian language is also included in the Latvian State Language Law as well as in the UNESCO Atlas of the World’s Languages in Danger where it is listed as a critically endangered language. The Livonians have maintained and continued to develop their language and culture up to the present day with both of these now forming a part of the modern cultural space of Latvia. A major event this year will be the publication of “Trilium”, the first ever bilingual Livonian and English poetry anthology, which contains the poems of three contemporary Livonian poets – Baiba Damberga, Valts Ernštreits, and Ķempi Kārl. This anthology is being issued to mark the guest nation status of Latvia at the London Book Fair this spring.